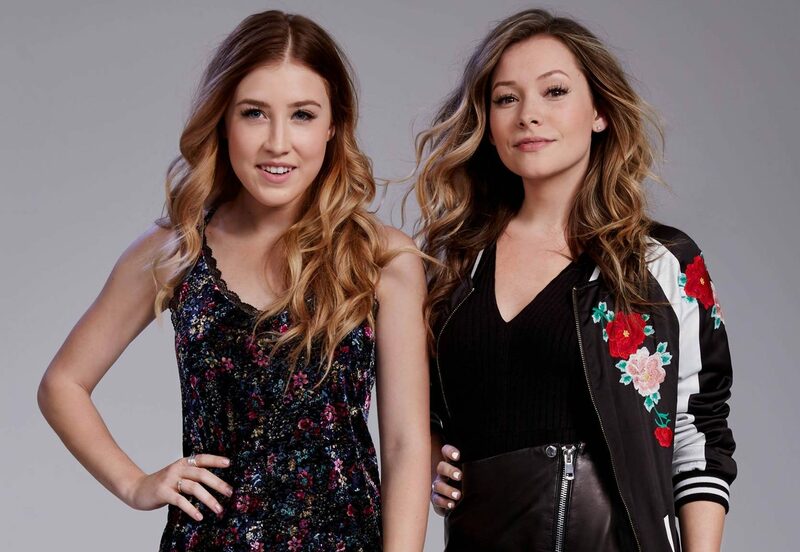 Maddie & Tae are best known for their debut single “Girl In A Country Song”. Featured on their debut album Start Here, “Girl In A Country Song” is one of eleven tracks the duo co-wrote. The platinum-certified breakout hit soared atop the Country radio charts and made them only the third female duo to peak their debut single at #1 in the history of the Billboard Country singles chart. The gender-flipping video garnered over 38 million views and scored the duo their first-ever award: CMA Video of the Year. These Texas and Oklahoma natives are rising stars to watch. TRAUB was engaged by Maddie & Tae and their team to develop fashion and retail opportunities. TRAUB negotiated an exclusive partnership with Bloomingdale’s to create a capsule collection for Fall 2016 under the AQUA brand. TRAUB is also working with Maddie & Tae to continue to develop their reputation in fashion and develop innovative brand collaborations. 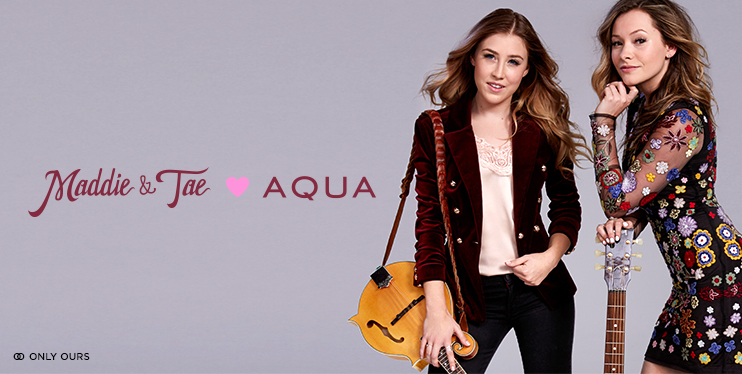 AQUA x Maddie & Tae launched in September 2016 at all 38 Bloomingdale’s stores and online at bloomingdales.com. The collection was one of AQUA’s most successful collaborations and quickly sold out at several retail locations. Bloomingdale’s 59th Street hosted a launch event in which the pair performed hit songs from their debut album Start Here, spoke about their inspiration for the collection and met with an assembly of loyal fans.